All prices include shipping within the United States. If out of the US, contact us for prices. 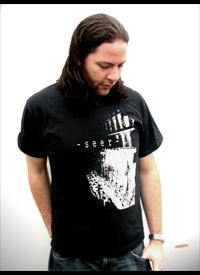 Seer's orignal t-shirt. Black with white print. 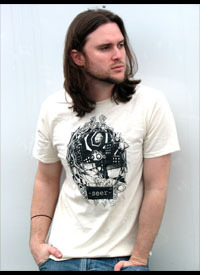 T-shirt featuring Mervis contemplatively sitting on a wall. Tan shirt with black print. 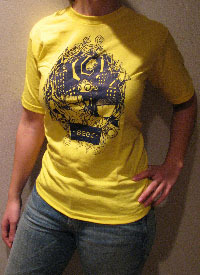 T-shirt featuring Mervis on a static background. Black shirt with white print. 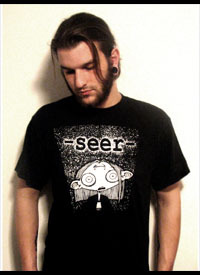 Original Seer tank top. Building design. Black shirt with white print. Tank top featuring Mervis. 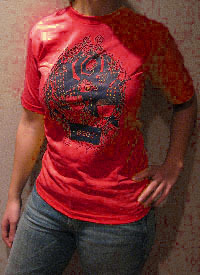 Red shirt with black print. Tank top featuring Mervis. Blue shirt with black print. 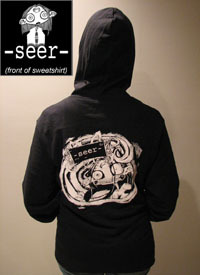 Seer hoodie featuring Mervis on front and back. Black hoodie with white print.